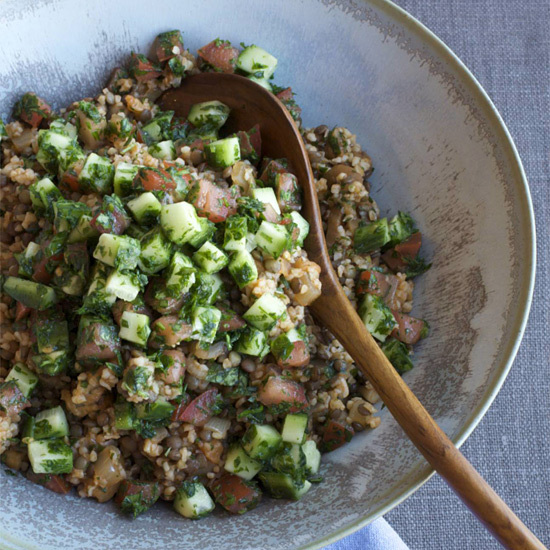 From twists on traditional tabbouleh to warm salads with roasted veggies, here are incredible bulgur recipes. 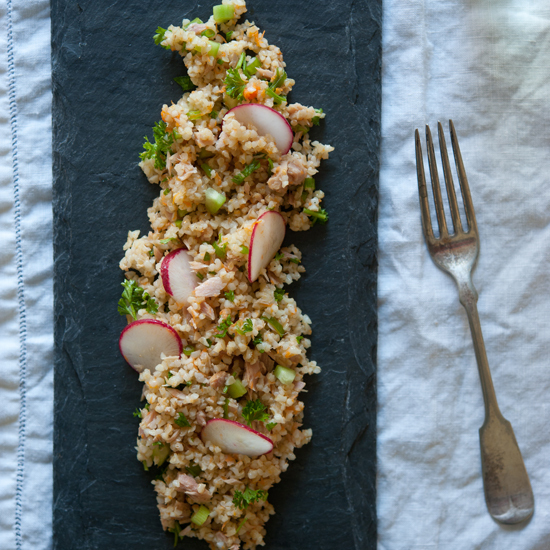 This is Athena Calderone’s twist on tabbouleh, the parsley-heavy Middle Eastern bulgur salad. 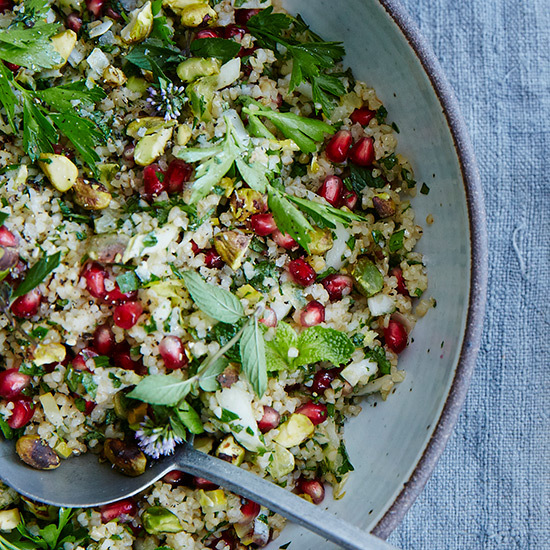 She’s added tangy, juicy pomegranate seeds, pleasantly bitter endive and pistachios to dress it up. 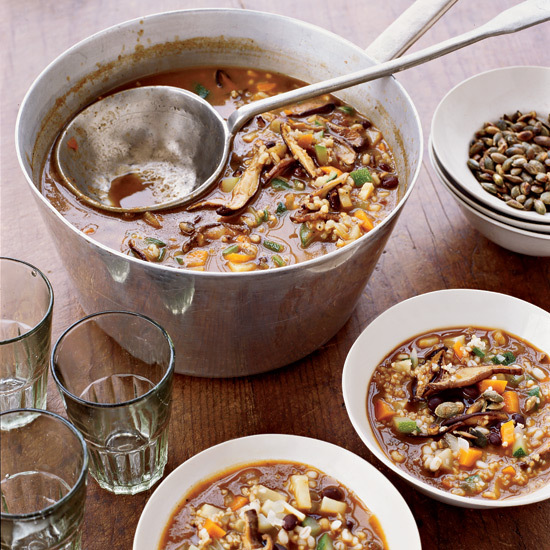 Be sure to let the bulgur cool—it’ll make the grain nice and fluffy. 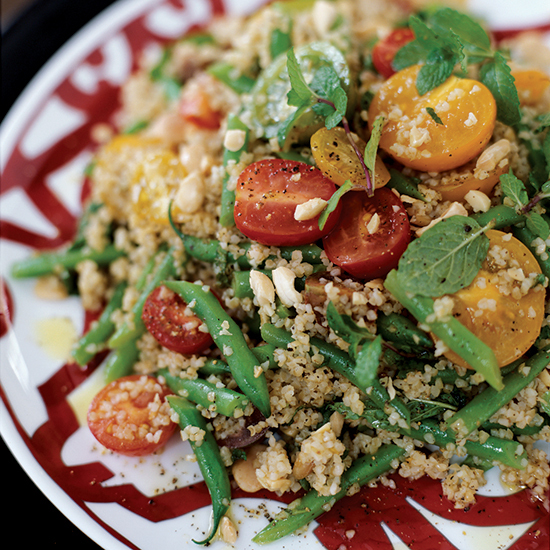 Bulgur makes a hearty base for a salad. 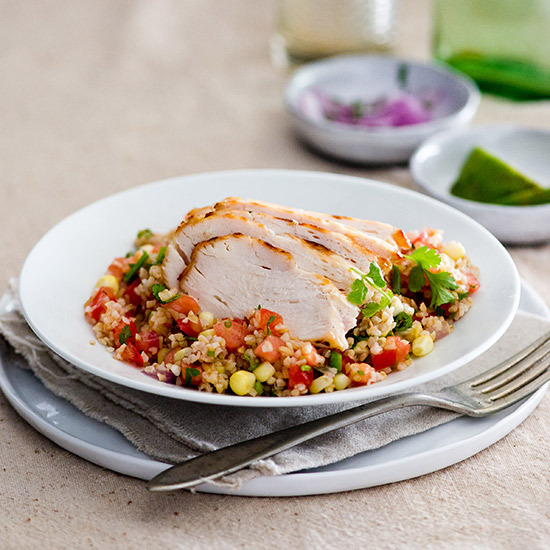 Here, it's tossed with corn kernels, tomato, red onion, and a bit of hot pepper, dressed with lime vinaigrette, and then topped with slices of sautéed chicken breast for an ideal summer meal. 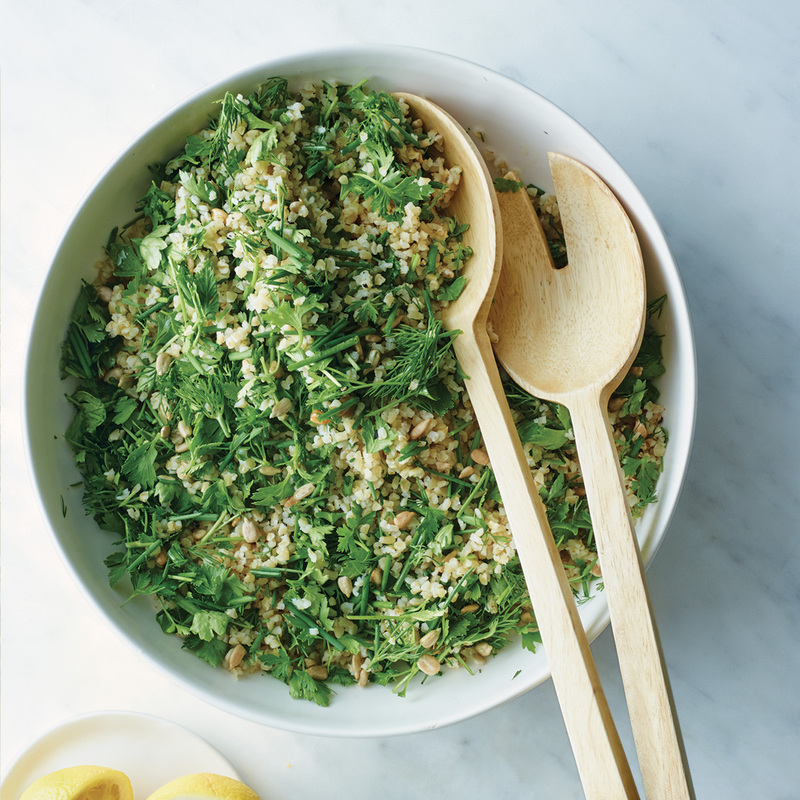 Food & Wine's Justin Chapple dresses up hearty, simple, no-cook bulgur with a bounty of fresh herbs, a lemony dressing and crunchy roasted sunflower seeds. 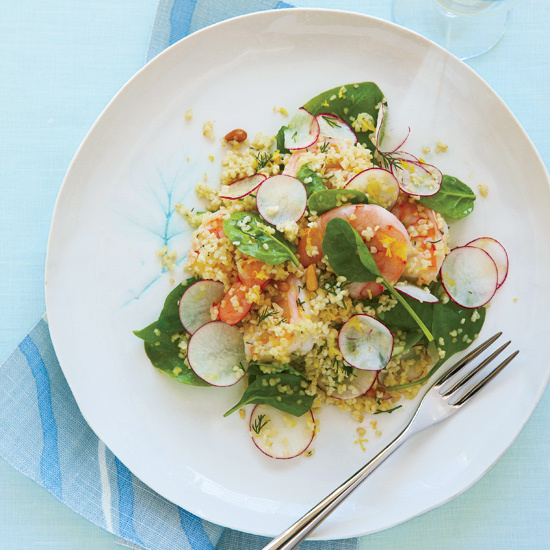 Pairing Suggestion: This simple dish requires a neutral white wine with high acidity in order not to clash with the mint and to stand up to the lemon juice. 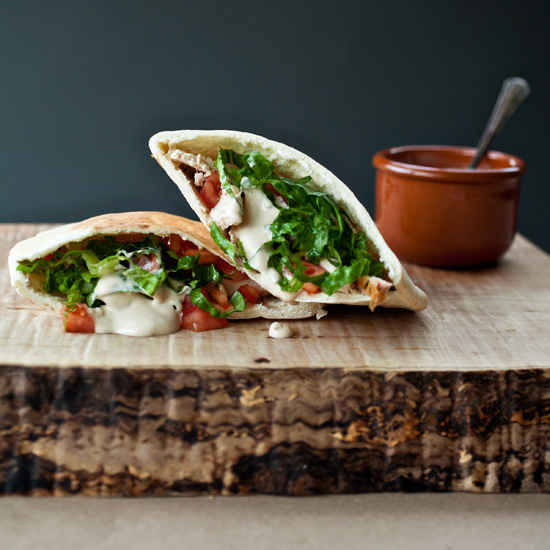 An Italian white, such as a Pinot Bianco from the Alto Adige, ought to fit the bill perfectly. 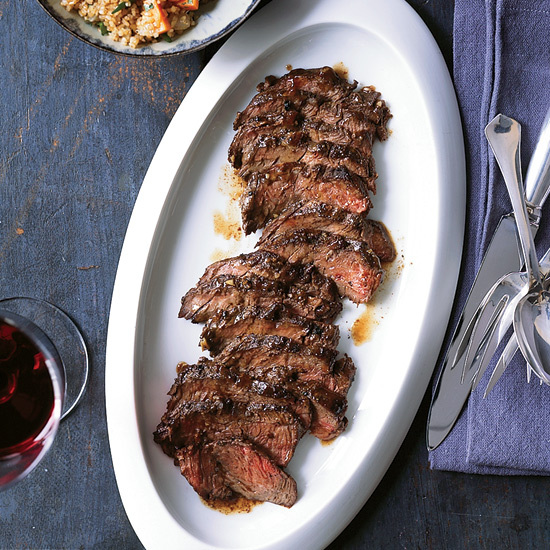 Pairing Suggestion: Peppery, berry-rich Petite Sirah. 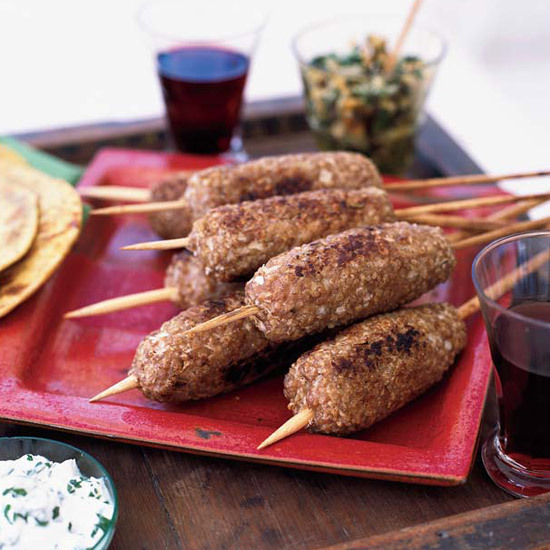 Kibbe kebabs are made from chopped meat and (very often) bulgur and formed into sausagelike shapes. 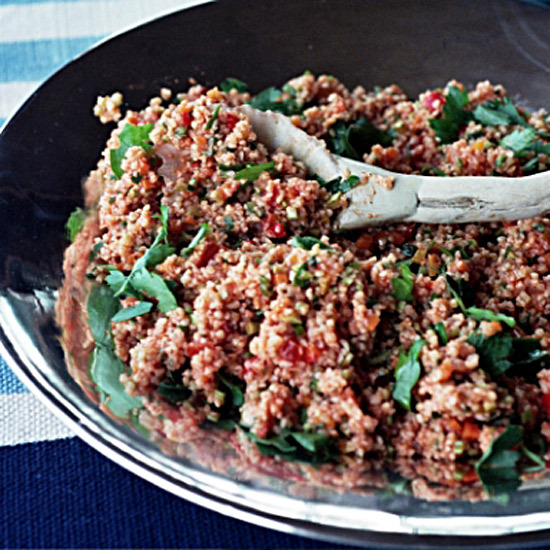 Here, turkey replaces the traditional lamb. Shawn McClain sautés fresh artichokes before mixing them with bulgur. He simmers asparagus in a shallow pan of water in the oven with lemon juice, sugar and salt for 15 minutes. 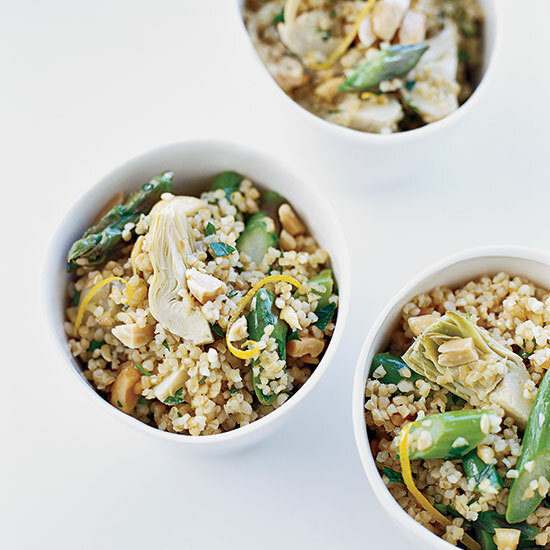 To make it easier, we use delicious, tangy jarred artichokes in the salad and steam the asparagus for just five minutes. Pairing Suggestion: You need a straightforward wine that won't compete but will be gulpable enough to prepare the palate for the next hot bite. Try a Chenin Blanc or a White Zinfandel from California.